There are many unique ways to plug in, serve worthy causes and activate good in our community. Register or log in to your existing account to sign up for a volunteer need that suits your time, talents, and favorite causes! Check out a variety of volunteer needs from ongoing or skills-based volunteer needs to special volunteer projects. 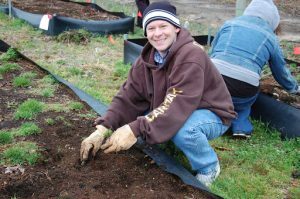 Our Community Partners also rely heavily on individuals and volunteer groups for short-term service projects, fundraising events, and so much more! Activate Good works as a “force multiplier” for local causes with volunteer needs. We hope you’ll join the growing volunteer community in the Triangle by signing up to serve. Signing up and getting started is as easy as 1-2-3! Search or browse volunteer needs posted by hundreds of nonprofits and schools (“Community Partners”) in our area. You can filter your search by cause, date, location, skills and more. Sign up for the opportunity(ies) that interest you. When you sign up, our site will send an alert to the Community Partner about your sign up. You’ll be contacted by a representative of the Community Partner you signed up to help with instructions on how to get started. Partners are asked to respond to volunteer sign ups within 48 hours. If you don’t get a response soon, contact us. Ongoing: Our Community Partners rely on committed volunteers to take on a variety of needs daily. If you would like a reoccurring volunteer role and have extra time to give, than these types of volunteer needs are for you! 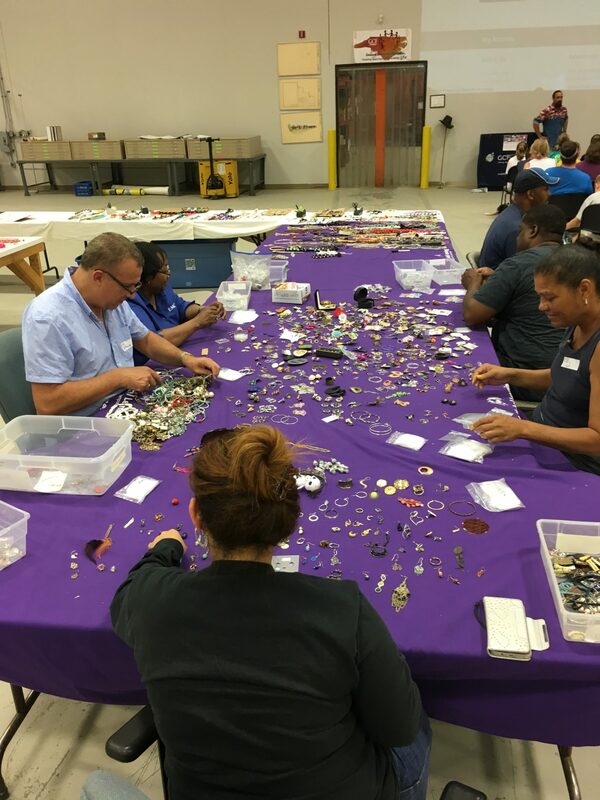 One-time: Often our Community Partners need short-term volunteers for service projects that they simply don’t have enough hands on deck to complete. 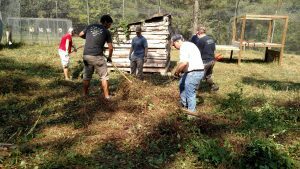 These include beautification projects such as painting or landscaping, moving, organizing, and large-scale sorting efforts. They could also include special fundraising events, walks and runs, and more. These types of opportunities are great for folks who have just a few hours to spare! 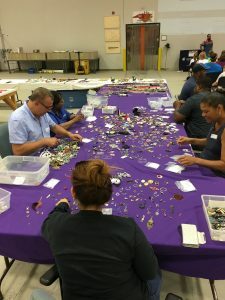 Hosted: When we can, Activate Good may adopt special one-time volunteer project needs and send one of our trained project leaders to host the group. Look for these under Activate Good’s own volunteer opportunity listings. Court-Ordered: Our Community Partners also post volunteer needs that are also appropriate for court-ordered community service. Skills-Based: Have professional talents and some time to spare? Skills-based volunteers with a variety of work experiences are needed, from web development to grant writing to legal counsel to social media gurus and more! Family-Friendly: There are many ways we work with youth, schools, and families to do good in our community. Volunteers of all ages can get involved and be somebody’s hero! View family-friendly opportunities here (varied by age), and learn more about youth and family volunteering here. Virtual: Prefer to volunteer from the comfort of your own home, favorite coffee shop, or workplace? You can virtually give your time to a good cause in our community! Many volunteers come to us as individuals seeking to give back in our community. There may be a cause they’re passionate about, they may have a special skill to volunteer, they may be new to the area and want to get plugged in, they may be seeking to build their resume, they may have extra time to simply give or they may be seeking fun (doing good surely brings smiles). No matter what motivates an individual to make a difference, Activate Good is here to serve as the conduit to connect individuals to worthy causes. View volunteer needs here. Part of a corporate group, school, college, church, social or service club or even a family looking to make positive change in our community? Let Activate Good help you get connected. You can signup directly on our website for a group volunteer opportunity the may suit your schedule, preferred cause, or group size. Can’t find what you’re looking for? Contact us for help to plan a more customized service project! You can rally your friends by creating a group and adopting volunteer opportunities together. Learn about creating a group here. Read about expectations of volunteer groups here. Activate Good’s vision is of a community where all people realize and exercise their potential to make a difference. Companies can help us make this vision a reality by rallying employees to volunteer! 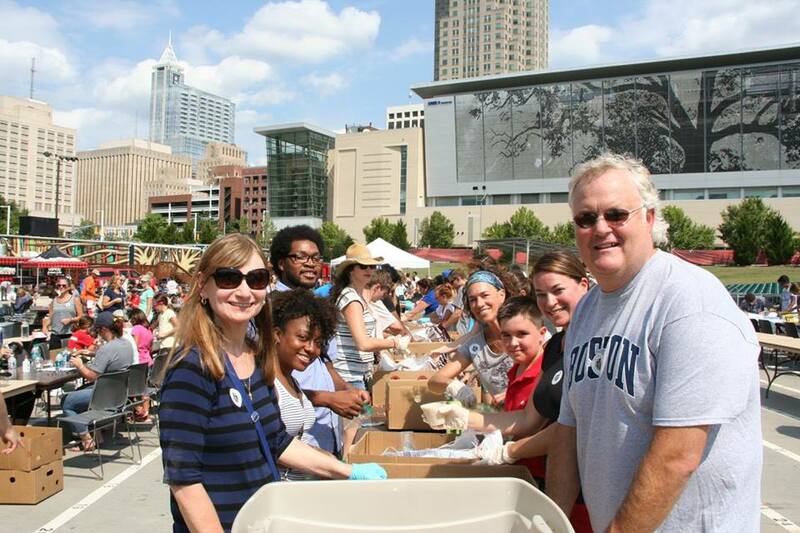 Your company can adopt a group volunteer opportunity on our website, joining our Triangle Corporate Volunteer Council, partnering with Activate Good to coordinate your next team-building day of service, sponsoring a special event or initiative hosted by Activate Good, or making a contribution to further Activate Good’s mission. Activate Good hosts several annual Community-Wide Days of Service bringing together local volunteers, groups, and causes to make a big impact and recognize the power of people! Generally, our Days of Service can accommodate volunteer groups of all types and sizes. For volunteer groups interested in adopting a service project during one of these special days, please review Activate Good’s Volunteer Group Responsibilities before moving forward with group volunteer planning.